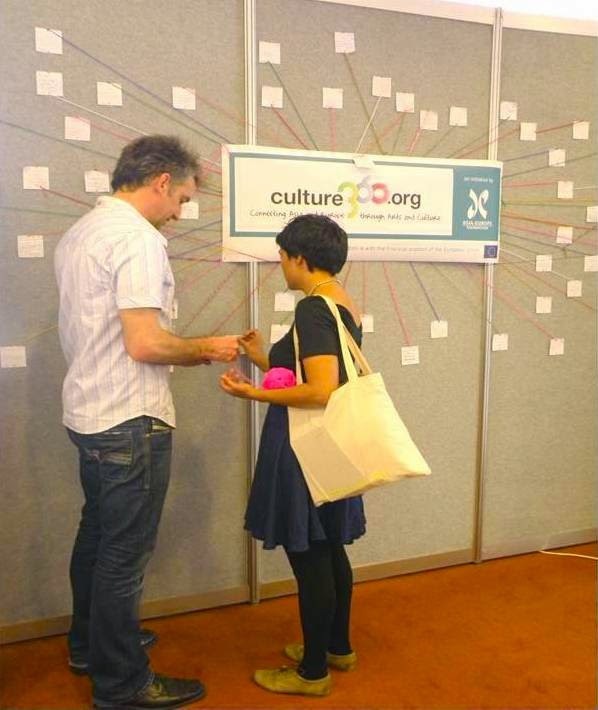 In line with the idea of “creating intersections and meeting places”, culture360.org has developed along the Summit, its first generative network project in collaboration with Analogue Art Map. The idea was to give a visual and physical representation to the comments of the members of the culture360.org community as well as to the delegates that where at the Summit. The result is a collaborative work that starts with the answers to the online survey “how are the arts a catalyst for change in today’s society?”, and expands to include thoughts and expectations more related to the Summit itself.